JOIN US FOR THIS FREE LIVESTREAM! 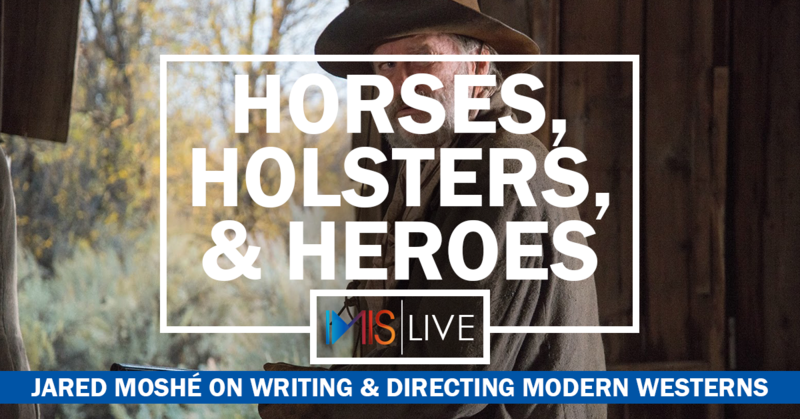 Join us for a livestream with writer/director Jared Moshé who will give insight into the world of making modern Western. Starring Bill Pullman, Peter Fonda and Kathy Baker, a merciless cowboy sets out on a dangerous journey across the frontier, determined to do whatever it takes to avenge his longtime partner’s brutal murder. Tension and distrust rise to the surface when a man (Barlow Jacobs) who was presumed killed in the Civil War returns to New Mexico and opposes his sister’s (Clare Bowen) plan to sell the family homestead to a mining company. Moshé marked his transition from accomplished producer to the director’s chair with his award-winning debut feature film Dead Man’s Burden, which Paste Magazine listed as 100 best Westerns of all time. His most recent feature, the Western The Ballad of Lefty Brownstars Bill Pullman, Kathy Baker, Jim Caviezel, Tommy Flanagan, and Peter Fonda. He is currently developing the sci-fi feature Aporia with JJ Abrams and Paramount Pictures.